Color Intensity concentrated pigments can be applied directly to hair (no developer required), or mixed with other shades in the collection to produce a wide range of hues--from vibrant vivids to delicate pastels. 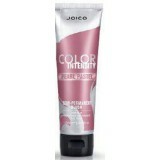 Formulated using Joico’s exclusive K-PAK Quadramine Complex®, which repairs and reconstructs hair as it’s being colored—locks are left incomparably healthy and shiny. 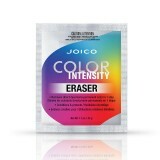 • Extremely concentrated pigments allow for exceptionally vibrant haircolor results. 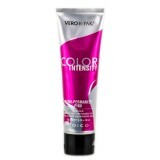 • Reconstructs as you color with K-PAK’s exclusive Quadramine Complex® to leave hair in healthy, shiny condition. 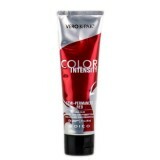 • Intermixable semi-permanent shades: Vivids, Pastels, Metallic Colours and a Clear Mixer. 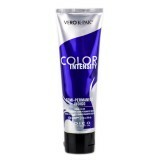 FOR PROFESSIONAL USE Color Intensity concentrated pigments can be applied directly to hair (n.. ERASE WITH EASE Pastels or brights? Unicorn or Pinwheel technique? Which hot new haircol..